Tribal Art Forms, a collaboration between two contemporary galleries Blueprint12 and Exhibit320, which promotes folk and tribal art forms is bringing North East art at the India Art Fair. The exhibition will showcase sculptures by Lanu Pongen from Nagaland and Siva Prasad Marar from Assam; photography on Konyak tribe by Anu Malhotra and textile arts of the region by Ajungla Imchen in her Embroidered Dialogue series. Northeast of India, lie 8 magical states that are little known – Assam, Meghalaya, Manipur, Mizoram, Tripura, Arunachal Pradesh, Nagaland and Sikkim. These states boast of a magnificent artistic heritage – some of the most magnificent wooden sculptures and textiles in the world are created here. Art is part of daily life and ceremonial occasions even today. However, the remoteness of the region, the rugged terrain as well as years of political struggle and instability have meant that few people have ever gone there to see the art and very little of the art has come out of the region. It is a region of mystery and mystique, of fable and fantasia , with so many stories waiting to be told. Tribal Art Forms with its deep commitment to showcasing the best of Indian folk and tribal art is taking a bold step in presenting a show totally dedicated to the amazing art forms of Northeast India at the India Art Fair, 2019. 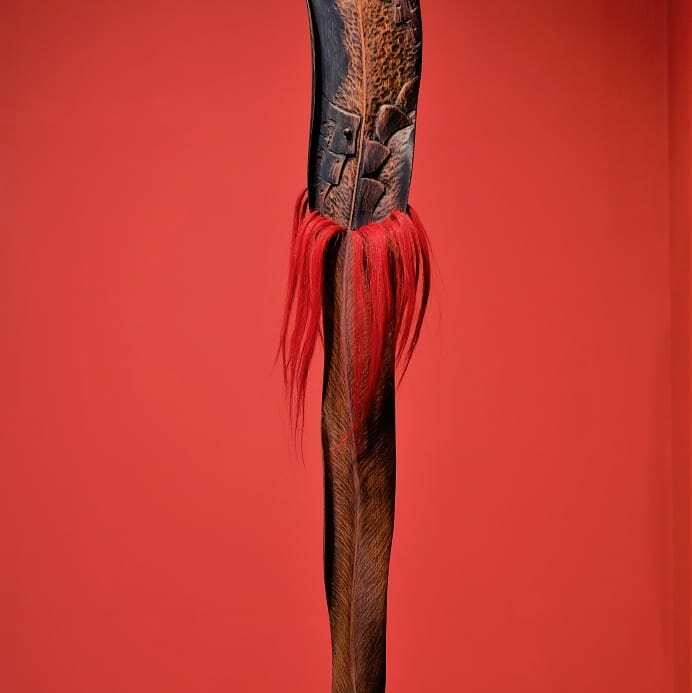 This show is significant because it will be the first of its kind show where the focus is not on the ethnographic aspect of Northeast India but on the arts of the region, in particular, the strong sculptural element. 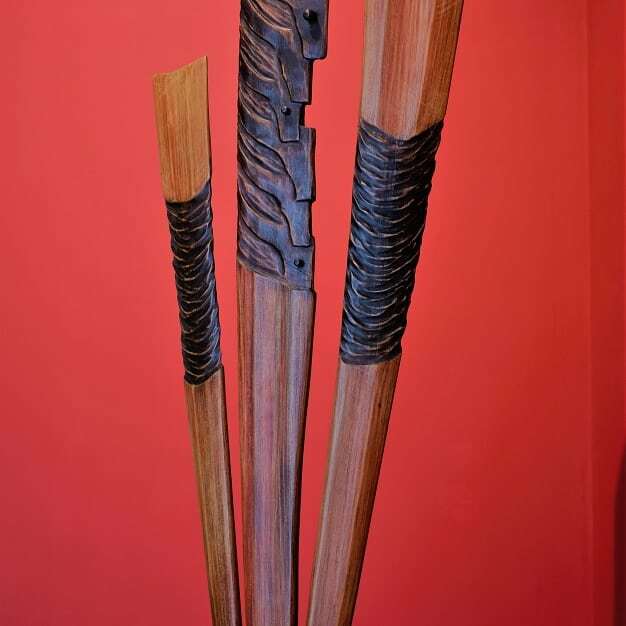 The plethora of sculptural traditions comes as no surprise given that the Northeast of India is blessed with verdant forests and wood is the material most easily available to express the artists’ creativity. The two artists whose sculptures are being shown are Lanu Pongen from Nagaland and Siva Prasad Marar from Assam. Also on display are the textile arts of the region, both traditional mores as well as contemporary interpretations by Ajungla Imchen in her Embroidered Dialogue series. These textiles are a beautiful blend of Naga imagery in Kantha embroidery from West Bengal. 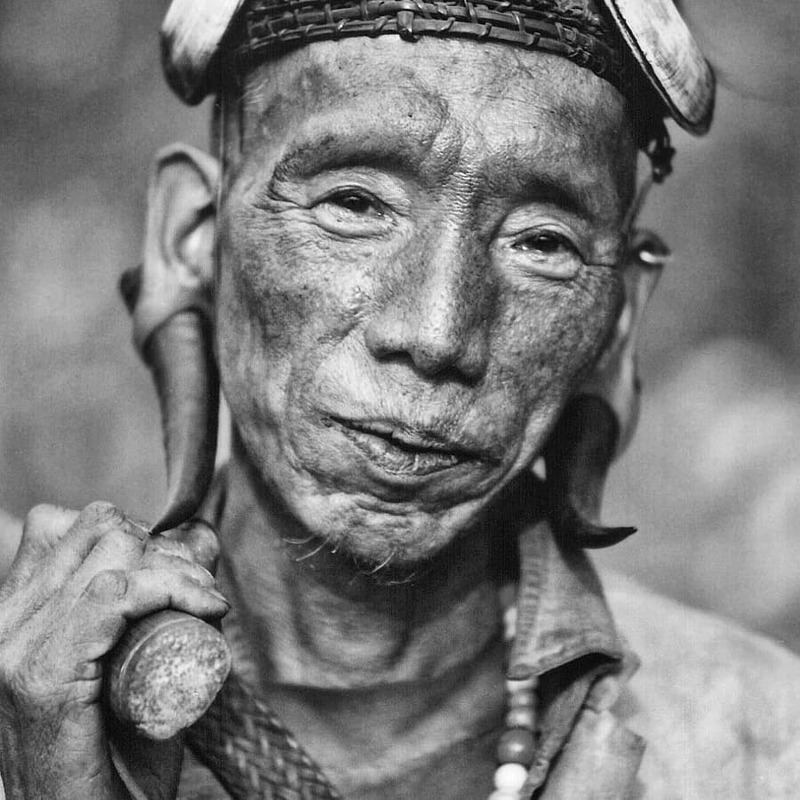 Adding to the visual element are some remarkable portraits of the Konyak tribes people by Anu Malhotra, the renowned film maker and artist. Tribal Art Forms and curator Minhazz Majumdar have made a conscious attempt to evoke an essence of the Northeast in this show and hope to share a vision of the Eastern Eye/I with visitors. To tell so many stories from the east, waiting to be told …………till now.